Back when I was in high school I definitely expected all of the math, physics, and science to be included in my undergraduate Aerospace Engineering program. However, one thing I didn’t expect was the amount of collaboration, leadership, and time management skills that would be needed. I wish I knew how important these soft skills were going to be in academic group projects, as well as in the workplace. If I could go back in time, I would tell myself to get involved in groups that could help develop these skills in high school, or at least in my first year of university! 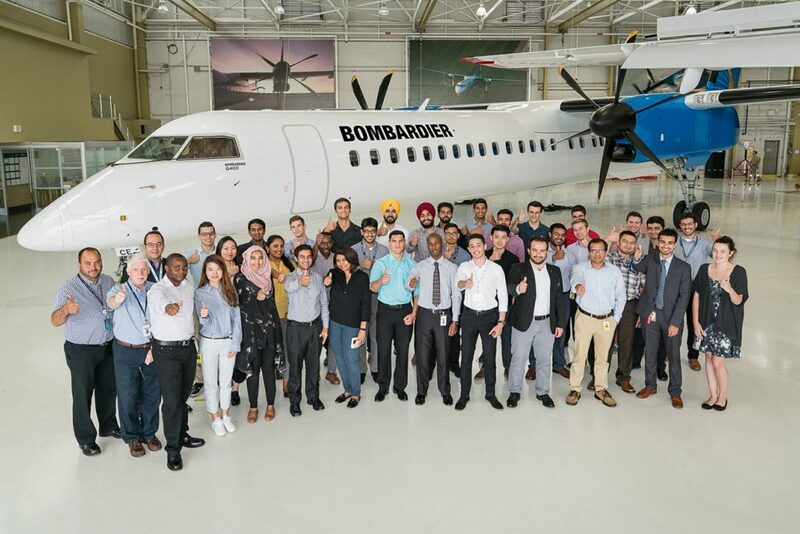 My internship at Bombardier Aerospace would have to be my proudest accomplishment as an engineer. It was my very first industry work experience, and I learned so much in my two work terms with the company. I worked in the In-Service Engineering Structures department for the Q-Series aircraft, which dealt with developing stress analysis tools to increase efficiency and creating repair drawings to assist with daily tasks. Being able to see my undergraduate course work implemented in a real-life scenario was very rewarding before commencing my graduate degree. 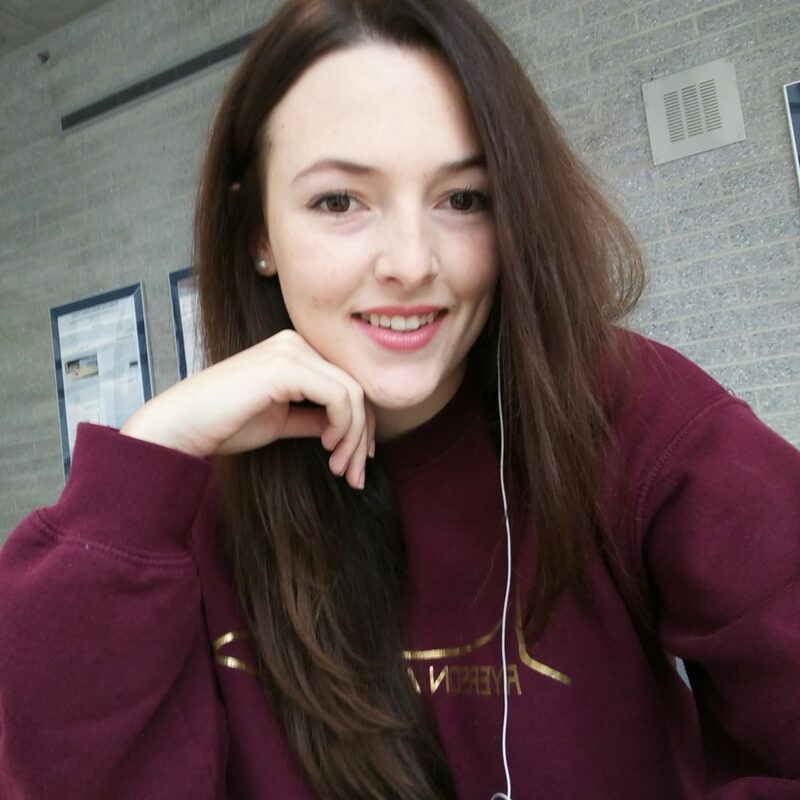 I was the captain of Ryerson Unmanned Aerial Vehicles (RUAV) from 2016 to 2018. My decision to join the team in 2015 was based on pure curiosity of the ever-growing drone industry! I had no prior knowledge of UAVs or drones when joining the team and did not let my lack of knowledge deter me from the team. While I was captain, I was able to lead the team to their first second place finish at the Unmanned Systems Canada Student Competition! I always try to let my curiosity and passion for learning new things guide me in my decision making. I am about to graduate with my Master of Engineering, majoring in Aerospace Engineering from Ryerson University! I’m just beginning my job search and looking for new opportunities that will allow me to grow throughout my career. 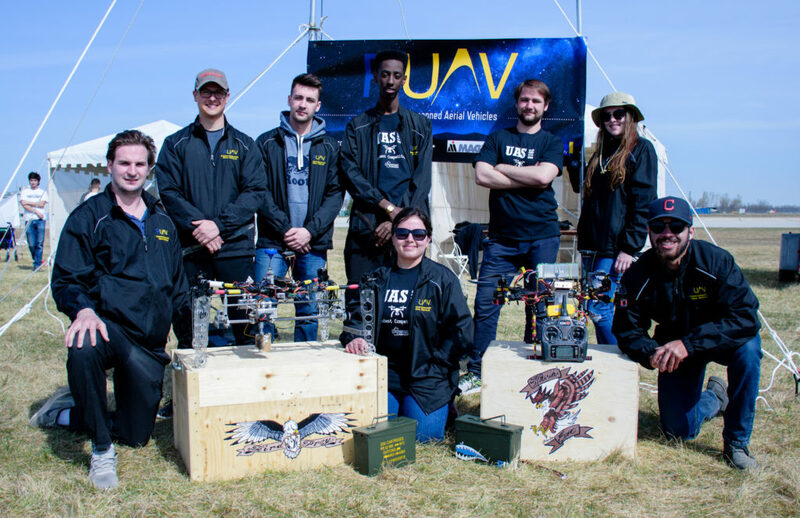 I knew I would miss the RUAV team once I graduated though, so I reached out to the Unmanned Systems Canada competition committee to see if I could help out at all. It is an honor to be working with them as the scenario lead, meaning that I develop the scenario for the 2019 student competition and am also assisting with gathering sponsors! Very much so. Aerospace Engineering accounts for a lot of machinery that makes this world go around! The work we do encompass space exploration (rovers, rockets), modern transportation (airplanes, helicopters), and even futuristic modes of transportation (drones, flying cars) … the possibilities of aerospace are endless, and the industry just keeps growing. I cannot wait to see what the future holds for aerospace engineering and how it will change our everyday lives. I believe we need more female engineers because each individual can offer a different point of view and perspective based upon their background and story. In fact, engineering is such a collaborative industry that benefits greatly from diverse teams when designing a new product. I think that as the number of women continue to increase in engineering, we will be seeing a wave of new unique solutions to existing industry problems. I wouldn’t say my hobby provides me a unique perspective, however it did prepare me for engineering. I have been horseback riding since I was seven years old. This is a sport I have stuck with for 16 years, and one in which I have had the chance to compete internationally. Horseback riding has taught me patience, focus, and discipline. To learn how to ride a horse takes hours in the saddle and I am always learning. But I couldn’t just expect to improve without any work… I had to learn it, read about it, and practice it. And I will never know everything there is to know, but I want to be the best I can be. I apply this same mindset to engineering. I went to a French immersion elementary school, and therefore I was learning a new language as well as going to school for the first time. Math is typically a subject that does not come easily to most children, and therefore, my parents decided to enroll me in an after-school math program at Kumon. This after-school program allowed me to excel in math and provided a great foundation due to the individual tutoring I received in the subject. The confidence I gained allowed me to not even think twice about pursuing engineering, along with the continuous support from my parents. In fact, my grandfather was also an engineer! After tinkering around the house my whole childhood, engineering was definitely something that I gravitated towards. The coolest project I worked on was my capstone project in my final year of my undergraduate degree. I specialized in avionics and my group had to create a control model for a 3 degree of freedom helicopter system. The control model had to be developed so that the helicopter could be controlled through a graphical user interface and perform a series of actions. The series of actions was really complex which made this a really cool project. In the end the helicopter had a drill mounted on it, and had to take off, fly to a board, stop, place a marker on the board, drill 3 holes equally spaced, and return to base!